A mission founded in excellence. The mission of Honors Choirs of Southeast Minnesota is to promote the highest standard of excellence in the preparation and performance of choral music, seeking to provide artistic challenge and growth opportunities for youth throughout the region and enjoyment for the community at large. Founded as an auditioned high school choir in Rochester, Minnesota in 1992, today Honors Choirs of SE MN is the largest youth music organization in the area, serving over 350 young people from the Rochester and surrounding communities. Founder and Artistic Director, Dr. Rick Kvam, believes participating in choir develops neurons in young brains, gives youth the chance to learn cooperation without competition, and affirms to young people the power of beauty through joyful singing. From inception, the organization’s reputation for excellence emerged quickly, and within three years the small ensemble had grown to nearly 90 members. Between 1997 and 2001, the organization added several choirs and expanded to include singers in grades 3-12. In 2015, Honors Choirs expanded its programming to include a class for children in grades 1 and 2. After 26 years of existence, nearly 1,800 singers have participated directly as members of an Honors Choirs ensemble. In recognition of commitment to the arts, youth, and excellence, the Southeastern Minnesota Arts Council named Honors Choirs the 2001 Arts Organization of the Year. In 2014, our organization received the Mayor’s award for Outstanding Youth in the Arts by Greater Rochester Arts & Cultural Trust and Rick Kvam was recognized with an award for Outstanding Leadership in the Arts. Rick Kvam was inducted into the Minnesota Music Hall of Fame in 2016. The choirs have performed on tour in places near and far including New York City, Philadelphia, Chicago and Ames (IA), and international venues in Czech Republic, Austria, Netherlands, France, Italy, British Columbia, Montreal and Newfoundland. Over 350 singers are enrolled in the Honors Choirs program this season, representing over 50 schools and 25 communities in southeastern Minnesota. The choirs perform several major concerts for the community, host a choral festival for area elementary schools, and regularly tour area schools in an effort to reach out to other young people in the community. Additionally, Honors Choirs produces a fully-staged musical theater show each summer as part of Rochesterfest. The organization regularly collaborates with Choral Arts Ensemble and Rochester Boys and Girls Club. Dr. Rick Kvam holds music degrees from Harvard College and Cincinnati College-Conservatory of Music. He founded Rochester Men’s Capella in 1982, Choral Arts Ensemble in 1985, and Honors Choirs of Southeast Minnesota in 1992. His Choral Arts Ensemble has sung with Saint Paul Chamber Orchestra and appeared on Prairie Home Companion, and sang most recently in a production of The Events at the Guthrie Theater (Minneapolis, MN). His Honors Concert Choir has appeared at the national convention of Chorus America, New York City’s Lincoln Center, and has been repeatedly selected for national Best of High School a Cappella compilations. 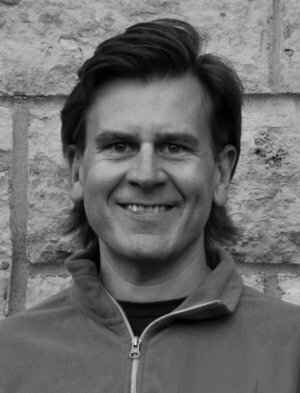 Dr. Kvam currently serves as Artistic Director and conductor for both organizations. In 2014, he received the Leadership in the Arts award given by the Greater Rochester Arts and Cultural Trust. Dr. Kvam was inducted into the Minnesota Music Hall of Fame in 2016. Aaron Schumacher is beginning his first year of directing Chorale. He holds a bachelor of arts degree in vocal and instrumental music from Concordia College in Moorhead, MN, where he sang under the direction of Dr. Rene Clausen as a member of The Concordia Choir. He is in his 12th year of teaching at Zumbrota Mazeppa Schools, having focused on vocal and classroom music at the middle school level. During his time at ZM Schools he has also taught band lessons, directed musicals, coached Mock Trial teams, and been a Peer Coach for fellow teachers. He is a member of Choral Arts Ensemble. Bill Nelson is leading the Treble Choir for his eighteenth season. He holds a bachelor of arts degree in vocal and instrumental music from Luther College (IA) where he studied with Weston Noble and was a member of the Nordic Choir and the Concert Band. 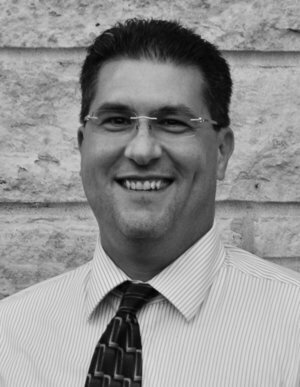 Previously a middle school and high school choir director, he currently is a CERTIFIED FINANCIAL PLANNER® professional with Think Mutual Bank. He has been a member of the Choral Arts Ensemble, and directs a choir at Zion Lutheran Church in Stewartville. Amy Nelson is in her seventeenth season leading Children's Chorus. She holds a bachelor of arts degree in vocal music from Luther College (IA) where she sang in the Nordic Choir under the direction of Weston Noble. She has also been a member of the Choral Arts Ensemble. Previously a music teacher and private voice instructor, she currently leads Sunday school music and directs a children’s choir at Zion Lutheran Church in Stewartville. Korrie Johnson is the Half Notes instructor, and is in her fourth year of conducting this young ensemble. She hold a bachelor of science degree in vocal music education from Minnesota State University, Mankato, where she sang in the Chamber Singers and Concert Choir under the direction of Dr. David Dickau. She taught music in Rochester Public Schools, was a Music Education specialist for Honors Choirs, has taught for SEMYO, and has been a private voice teacher. She was a member of Choral Arts Ensemble. Jan Kvam holds a piano performance degree from Bethel College in St. Paul, MN, and keeps an active schedule as collaborative pianist for a wide variety of ensembles and soloists throughout the SE Minnesota region. Jan is enjoying her sixteenth season playing for Honors Choirs. Jon has a bachelor of arts in music (emphasis in piano performance) from Mankato State University, plays piano for a big band in Rochester called Swing Street, frequently plays with D’Sievers jazz combo in various venues, and has been the pianist and/or musical director for almost 80 musicals. Jon begins his third season with Honors Choirs. 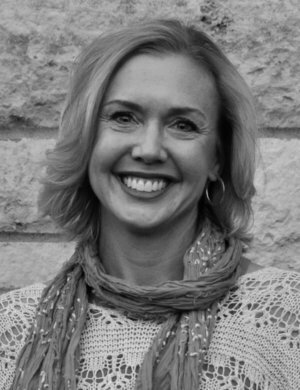 Cindy Breederland holds a bachelor of music degree from Cornerstone University in Grand Rapids, Michigan and is a Nationally Certified Teacher of Music. 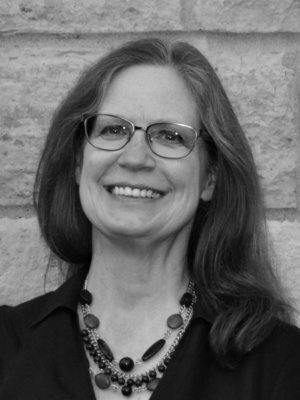 Cindy has served as a church musician for many years, and also enjoys teaching piano and playing oboe in the Cannon Valley Regional Orchestra. She is in her sixth season with Honors Choirs. Jayne Rothschild joined the organization in 2010. She is a Rochester native and graduate of Gustavus Adolphus College with a bachelors of arts degree in organizational management. Previously a managing director at a promotion agency in Connecticut, her professional background is in marketing, special events and promotions. As a volunteer, she gained choral management experience with a children's choir organization in Virginia. Karri Campbell joined Honors Choirs in 2012 and manages operational finances and provides administrative support. She holds a degree in accounting and worked previously for a Rochester hotel in the finance department. Mary Wille joined the Honors Choirs staff in 2003, and having served on the board of directors and in various volunteer roles for several years. 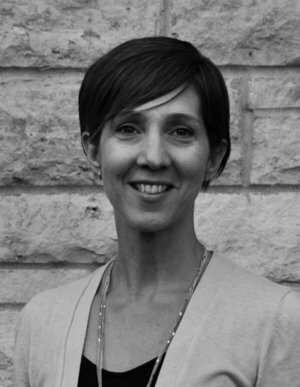 She is a graduate of Hamline University, and is a trained chemical dependency counselor. Our Board is made up of both parents of singers and people from the community who are committed to supporting the arts and youth. Each member serves for a 3-year term and can serve for up to two consecutive terms. Board meetings are generally held the fourth Monday of each month at 7:00 pm at the Honors Choirs offices at Assisi Heights. Meetings are open to the public. Please call the office if you would like to attend a meeting. If you wish to reach a current board member by email, please contact President, Heidi Dieter. If you are interested in serving on our Board, we'd love to hear from you! Please fill out the board member application form below. Having been in choirs and on worship teams most of her life, Heidi also plays organ and piano. Music has always been a big part of her life, and she was gratified to see her daughters, Mikaela and Emily, develop the same love of music through Honors Choirs. Heidi and her husband, Michael are both dedicated volunteers for the organization. She sees serving on the board as another opportunity to help continue the mission of Honors Choirs. 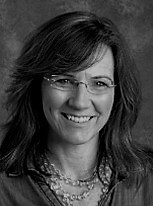 Heidi is Vice Chair, Research Administrative Services at Mayo Clinic. As a high school and college singer and musician, Anna grew up experiencing the rewards of dedication, hard work and teamwork through music. She serves on the Honors Choirs board as a way to support the community asset, and because she sees how the organization has impacted her own children. Three Sanchez children sing with Honors Choirs—Sophie, Julia and William. Anna is married to Will Sanchez, and enjoys running and being outside. She is a nursing instructor at Augsburg College in Rochester. 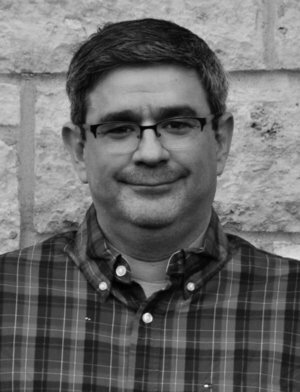 After previously serving for six years on the Honors Choirs board, Chuck returned in 2016 and serves as the treasurer. He and wife, Cathleen, have three grown children—all alumni of Honors Choirs. Chuck is an excellent singer (in his car and shower) and enjoys mowing lawn, going to movies and playing with his grandchildren. Chuck is the banker-owner/operator of Root River State Bank in Chatfield and The First State Bank of Fountain. An accomplished saxophonist, Janine most recently performed with the Rochester Symphony as well as on the First Presbyterian Church recital series with Lee Afdahl. She teaches music and band at Rochester Montessori School. Daughter, Maria is in Concert Choir, having begun Honors Choirs in third grade. Her husband, Chris Jankowski is also a musician and they attend Tritone Jazz Camp every summer as a family. Her motivation for serving on the board is to support a very effective educational organization. Her hobbies are agility training her dog, baking, eating chocolate, exercising and being a horse barn-mom. Elizabeth serves on the Honors Choirs board because she feels it is a chance to help support an organization that enriches the lives of our children and our whole community. She and her husband, David have two children in Honors Choirs—William and Katherine. Elizabeth grew up in Michigan, and played flute for ten years in band, plus saxophone and piccolo in marching band. She works at Mayo Clinic in the Ophthalmology department. In her own words, “Honors Choirs provides an opportunity for young musicians to create, develop and nurture their musical experience during their formative years. I am excited to work with an organization that provides such a high quality of musical education and direction. These students will be able to build upon this foundation and have music as a part of their lives for many years to come.” Amy is a cello teacher, with three singers in Honors Choirs. She volunteers at school, assists with church programming and is the founder of Calvary Kids—a community youth service group. Amy and husband, Eric enjoy spending time with their family, traveling, being outdoors and playing tennis. 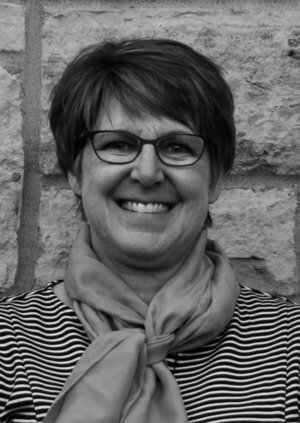 Lori is an avid listener of music, and has had two children participate in Honors Choirs. She is motivated to serve on the board because she believes in the importance of promoting opportunities for youth in performing arts in our community. Lori works in public relations at Quarry Hill Nature Center. She and her husband, Scott are Rochester natives and returned to the area to raise their three children. She enjoys hiking and knitting in her spare time. + Thomas C. Gerber, M.D., Ph.D.
Having enjoyed music his entire life, Thomas describes himself as a failed jazz pianist who still dearly loves Herbie Hancock. His twins, Freya and Max, are singers in Honors Choirs, and he joined the board as a way to contribute to the success of the organization. Thomas is a Cardiologist (with focus on preventive cardiology) with a joint appointment in Radiology at Mayo Clinic. He is married to fellow cardiologist, Dr. Birgit Kantor, whom he claims is the most interesting thing about him. A violin player, Rafael performs with the Mayo Chamber Symphony. He was recently admitted to the World Doctor’s Orchestra. His service on the Honors Choirs board represents a desire to contribute to the development of high level musical activities in Rochester, and giving back for the joy and satisfaction his son, Fernando, has gained through singing with Honors Choirs. Rafael is also a board member of Rochester Symphony and Chorale. Originally from San Jose, Costa Rico, he is married to Enid Campos the father of four sons. Rafael is a surgical and genitourinary pathologist at Mayo Clinic. A singer, Andy is a member of Choral Arts Ensemble where he performs as a tenor. He is also a teacher at John Marshall High School. Andy’s motivation for serving on the board is because music brings meaning to his life. He and his wife, Jessica have three children in Honors Choirs: Henry, Penelope and Olive. Valerie and her family moved to Rochester six years ago and love the community. Husband, Pasquale has just opened a pizzeria in town. She is motivated to serve on the Honors Choirs board in order to contribute to an organization that has enriched the lives of her and her family. Three Presa children sing with Honors Choirs—Dominic, Luca and Maria. Valerie took piano as a child and enjoys music and musicals. She is a marriage and family therapist at Fernbrook Family Center. A former high school a capella choir singer, Chris serves on the Honors Choirs board to ensure the longevity of the organization and promote the arts in southeastern Minnesota. Daughter, Emma, is an Honors Choirs singer, and wife, Suzette, helps with rehearsals. Chris sings in his church choir and serves on the church council. 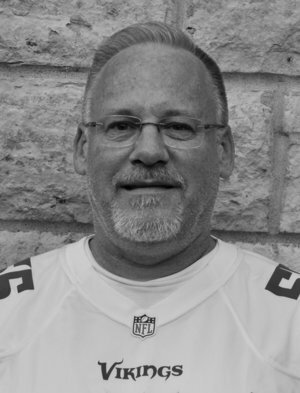 He is also a youth sports coach in Stewartville for soccer, basketball and softball. Chris is a Corporation & Foundation Relations Analyst in the Department of Development for Mayo Clinic. In her own words, “I think that Honors Choirs gives an incredible opportunity for the young people of Rochester. More than ever, we need to have our future generations involved in Arts; the only way that our kids are going to succeed in the future is by having a creative upbringing that will allow them to think, to stay focus and look at things with new perspectives, to appreciate the beauty in our world and to engage with others in common goals. I cannot think in a better choice: singing in a serious ensemble like the Honors Choir will leave a special trace in their lives and that it is why I would like to share my experiences in the music world with the HC board and help as much as I can to keep this wonderful ensembles striving for another 25 years or more.” Ainhoa has been a vocal coach for more than twenty years, having taught in conservatories and universities in Europe and US. She has performed with opera singers and instrumentalists of great reputation through the States and Europe. She currently teaches piano and music classes at RCTC. Mary grew up on a farm in a rural Minnesota setting steeped in the choral traditions of the Lutheran church community. Her three children sang with Honors Choirs, and continue to enjoy music in their young adulthood. In her own words, “Honors Choirs provides a setting for kids from all walks of life, from all over southeastern Minnesota, to come together, experience community, and have their lives transformed through music. I want to be a part of that!” Mary is a Music Specialist at Schaeffer Academy. She also has a small piano studio, sings in church choir, and plays for monthly Evensong services.